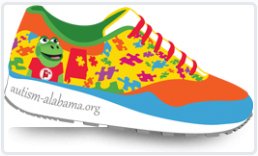 Fleet Feet Sports Birmingham is pleased to support the Autism Society of Alabama's Walk for Autism and 5k Race to Solve the Puzzle! The event takes place on Saturday, April 11th. The event packet pickup will be held at Fleet Feet Sports Birmingham on April 10th. This walk and 5k is the single most powerful fundraising event in April for the Autism Society of Alabama. The event connects and unifies thousands of participants throughout the state, shedding a light on autism, the fastest growing developmental disability in the U.S. Registration is now OPEN! Sign up today and help solve the puzzle for autism!